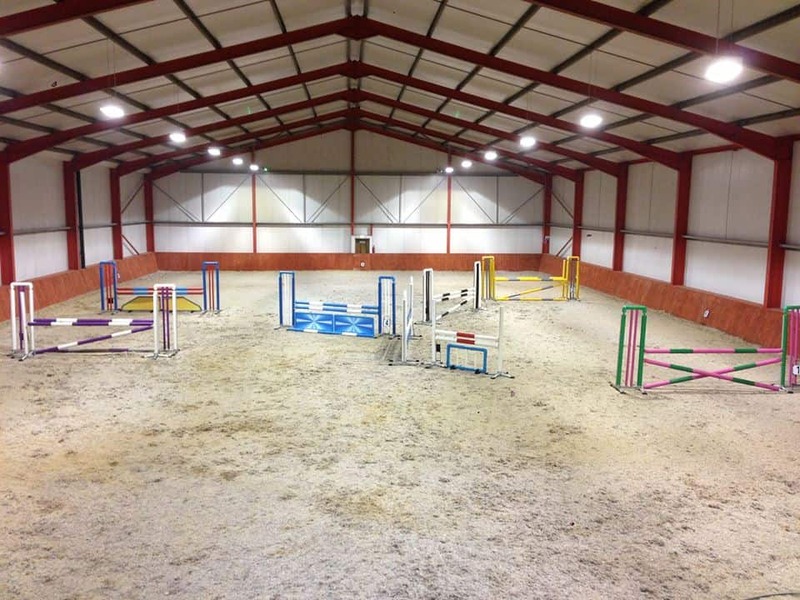 24x42m fibrelok surface arena with full set of Safety System Jumps. 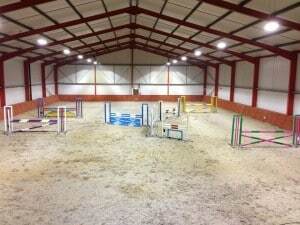 See our indoor arena page for more details. 65x30m sand and rubber surface outdoor arena. We have 18 new stables at the yard, in a light well ventilated shed with extra wide passage way and separate tie up areas. Exit the M90 at the Bridge of Earn Junciton 9, then take the A912 signposted Glenfarg. At the end of the long straight is a small roundabout, turn left on to the A913 towards Abernethy. The farm road is the first road on the left hand side, just before the cottages in the village. There are 2 very large white round concrete planters and a number of white painted stones at the top of the farm road. Follow the farm road, there are passing places along the road, and then you will see the sheds infront of you.